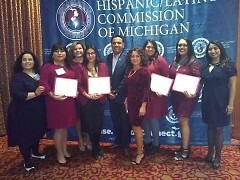 On Friday, October 12, 2018, fifty Latina leaders were recognized by the Hispanic Latino Commission of Michigan as the "2018 Top 50 Latinas of Michigan" at the Statewide Hispanic Heritage Month Celebration in Saginaw, MI. To stand among the women named is an honor that humbles me. 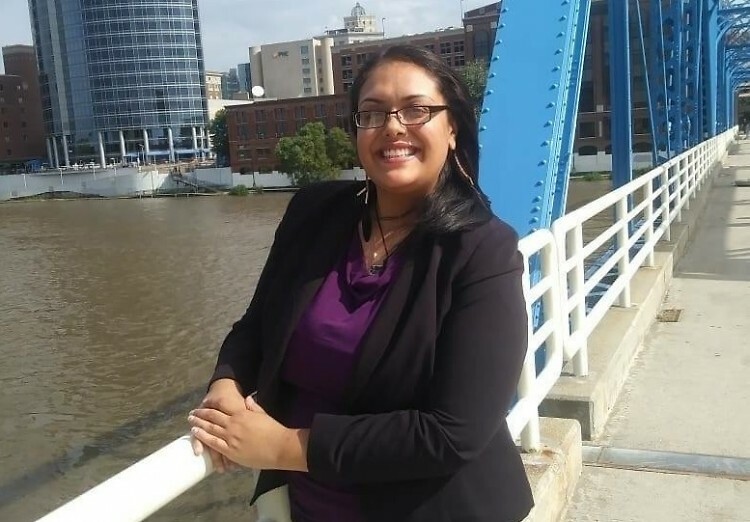 Erica Soto is a graduate of the Latino Talent Initiative, a cohort designed to strengthen and empower young Latinx professionals and leaders, through Ferris State University. She is a member of the Latina Network of West Michigan and the LEAD Program for Parents of and Individuals with Special Needs. She is also currently transitioning from serving as Marketing and Communications Co-Chair to President Elect of BL²END, an organization that intentionally creates environments of inclusion for Young Professionals of Color, monthly, which focus on the strategic initiatives of Professional Development, Social Networking, and Community Outreach. Erica is a proud single mother of 3 and currently works as a Spanish Educator at the Grand Rapids Public Museum Middle and High School. On Friday, October 12, 2018, fifty Latina leaders from across the state were recognized by the Hispanic Latino Commission of Michigan as the “2018 Top 50 Latinas of Michigan” at the Statewide Hispanic Heritage Month Celebration in Saginaw, MI. This recognition highlights the best we are as Latina leaders, for all of our contributions made for the betterment of our communities. To stand among the women named is an honor that humbles me. 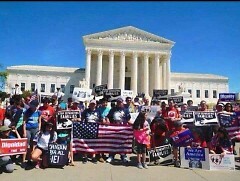 It reminds me of the sacrifices the strongest women I know endured before me, so that I could be a part of this moment. I was born to Puerto Rican parents who, from a young age, raised me to be a strong leader. At just 15, I served on the Mayor's Youth Council of the City of Grand Rapids and have devoted my leadership to the community ever since. I graduated with a Bachelor's degree in Psychology in 2017 from the University of Phoenix. During my college career, I worked in Child/ Adolescent Development and at the Grand Rapids Public Library, strengthening my passion for knowledge, research, resource connection, and community outreach. My great grandmother was illiterate and only knew how to write her name. My grandmother only achieved an elementary school education. My mother was the first college graduate in her family. Reflecting on this Top 50 Latina accomplishment helps me realize I, too, am one of the first to open doors unimaginable for women like me. To know I am part of a new generational narrative allows me to create new possibilities for future leaders, starting with my own daughter. I believe that the more given to us means more is required of us. I’m a champion for immigrant rights and support the dignity and value of all families regardless of immigration status. I also serve as the Kids Summit Coordinator on the leadership team for the Grand Rapids Neighborhood Summit. My children participate in these activities with me, giving feedback and learning how to advocate and lead as they grow. It's important to me to pass on my knowledge and resources so that they can be prepared to change the world and know it's their right to do so. Every woman I lead with is a testament of our need to uplift one another in order help to make our visions reality. 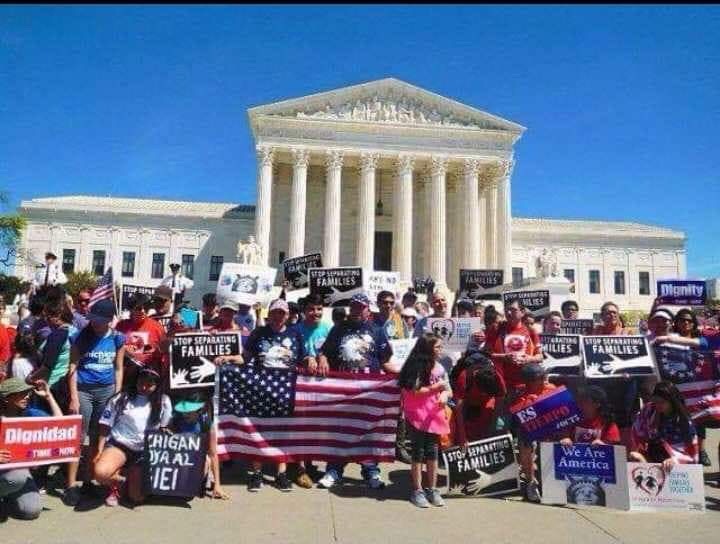 We are powerful when we are united. As we continue to empower our sisters along the way, let us not forget that each of us, with all our skills and experiences, are a reflection of every impossibility silenced by our strength and perseverance. We are truly our ancestors wildest dreams.